Honestly given how much developing a good game costs, they should be investing as much as they're putting into video. As long as at least one of them is a must have game like Halo was for the Xbox it would be good. With a budget that high, maybe we can expect to see an Apple branded controller? I use the Steele Nimbus controller with AppleTV, and for certain games it is a MUCH better experience than using either the AppleTV remote or iPhone touch screen. However, currently not all games are designed to support it. I'm excited to see what it is going to be like. I have a hard time seeing how this succeeds. Mobile games are cheap. And most people don’t buy them that often. Hope to be proven wrong. I hope this performs well because I’m an Apple fan and know there are people who enjoy iOS gaming. Having said that, as someone who is a gamer, I have ZERO interest in this. I'm not a gamer, don't do much with iOS games, and no nothing about game developing. Is Duke Nuke 'em still vaporware? But somehow, given that this is Apple, 'more than $500M' just doesn't seem like a lot of money. It will be a huge hit just from parents buying it for their kids. Parents won't have to worry about advertising, the nightmarish expense of in app purchases, and of course, curated content that is safer for kids. All of that plus kids begging for it. Yep, parents alone will make this a huge success. The other aspect most people don't understand is the same reason why Apple Music has been such a huge success. Like many or most people I didn't buy music very regularly because of discovery and expense. Once I tried Apple Music I was hooked as for about $7 a month I can get access to unlimited music, new and old, and there is easy discovery. I am sitting here reading while listening to Apple Music on my fantastic sounding Homepod. SIri works fantastic on the Homepod, and I just asked Siri to play some new music for me. Whenever she plays something I like/dislike I don't have to even stop typing to ask her to mark it as such or add it to one of my playlists. To be able to plays a hundred of games you won’t be able to play somewhere else, that’s a huge huge draw. Like someone said above, it only needs a few must play game for the platform to be successful. If they have a bunch of killer exclusive content, and the price is right, then I can see this as being interesting. I guess we'll see what happens in the future when we hear more details about it. 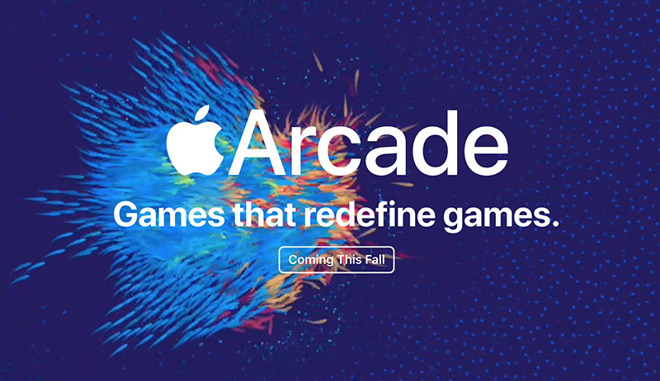 Who is going to pay for Apple Arcade? All that money but no acquisitions. Of course! no one is gonna buy this!! 0 subscribers in Arcades first year! DOOOOMED! I agree they should be spending more but if this is a yearly cash pump, then it's a whole lot. I believe game companies don't even spend half of this in a year. I'm not so sure about that. Costs for AAA games are well into the tens of millions, sometimes nine figures, nowadays, even before marketing costs. I’ve never been a big gamer, in fact I have a hard time understanding the mentality of people that will spend several hours a day in front of a computer screen playing games. So i can’t really understand why People would sign up for this. Thus I don’t see a huge success in the near future. However what I do see is Apple releasing new hardware that can leverage these games. The new Mini IPad is a start here as their lowest end game platform. What I’m expecting is a new SoC for iPad and an Apple TV variant, possibly even more hardware. I’m not sure if that chip will be limited to iPad Pro or if a gaming tablet is in the future. The gaming tablet would need a few features to set it apart from the other iPads. A rugged case being high priority but also novel input devices. By rugged case I mean industrial strength, sort of like scan tools mechanics have. Something that is inherently rugged and can take abuse. A rugged plastic with a beefy rubber over-mold would do. The case ought to be able to hold a larger battery but not so large that it can’t be taken on airplanes. Frankly Apple has an opportunity here to open up the platform a bit with a device specifically designed for hard users. I'm not sure what part of his comment you're disagreeing with. It sounds like you're disagreeing with his comment about "game companies don't even spend half of this in a year" but the links you posted back up @AppleExposed's comments. Actually those figures don't back up @AppleExposed's comment. Those links show the cost of one video game. The top game developers such as EA, Ubisoft, Sony, etc are releasing more than one game a year. EA's spends more than a billion a year. Rockstar spent over $200 million just on Red Dead Redemption 2. Ubisoft spends a fortune a year as well. So Apple spending $500 million is nothing compared to what the big game developers spend. I highly doubt Apple will be spending that much per year anyway. If it's true the $500 million is for 100's of titles, these games definitely won't be AAA titles. A $12.99 monthly subscription to Arcade is not going to fly. A $12.99 monthly subscription that nets Arcade, TV+, News+ & Music would do the trick. Sorta the Amazon Prime model where it’s about $10 a month for the free shipping, Amazon Music and Prime Video + the occasional kindle promo. Apple should be able to do this. I hope they go this route and not the Comcast, AT&T way of finding every possible way to make you pay a boatload each month. But, hey, it’s Apple - home of the terribly priced SSD and memory upgrades, so I’m not holding my breath. But I’ll dream for awhile. Why would Apple add another gaming SKU when the regular iPads do so well for gaming anyway? There's no real hardware limitation here. Ruggedness can be delivered by third party cases.